By CNN METEOROLOGIST MONICA GARRETT CONTRIBUTED TO THIS REPORT. (CNN) - Oh, what a difference a year makes, at least for New Year's Eve weather conditions in Times Square. Unlike the near-subzero temperatures crowds experienced last December 31 in New York City, this year's Times Square forecast is rain with a high of 48 degrees -- all the way into 2019. In other words, out with the parkas and in with ponchos. "It will still be raining when the clock strikes midnight," CNN meteorologist Jennifer Gray said. "We could get a break here or there but I'm not counting on it." It's serious enough that the New York Police Department is not deploying its new fleet of drones as planned for the first time over Times Square on New Year's Eve. "Due to the rain and wind tonight, our NYPD drones will NOT be in the air," Chief of Department Terence Monahan said on Twitter on Monday night. While the Great Plains and West will feel the effects of a cold storm, much of the mid-Atlantic and South will cope with moderate winter temperatures and rain, according to forecasters. "How can it be 10 degrees warmer in New York City than Phoenix on New Year's Eve?" asked CNN meteorologist Chad Myers, adding that it will feel like 50 degrees in the Big Apple. "It will be one wave of rain after another." Snow, ice and rain are forecast for northern New York, Vermont, New Hampshire and Maine. "This arctic boundary will cause temperatures to plummet through the day across parts of the central Plains as wind chills reach hazardous levels from Montana through Nebraska" into Tuesday morning, forecasters said. 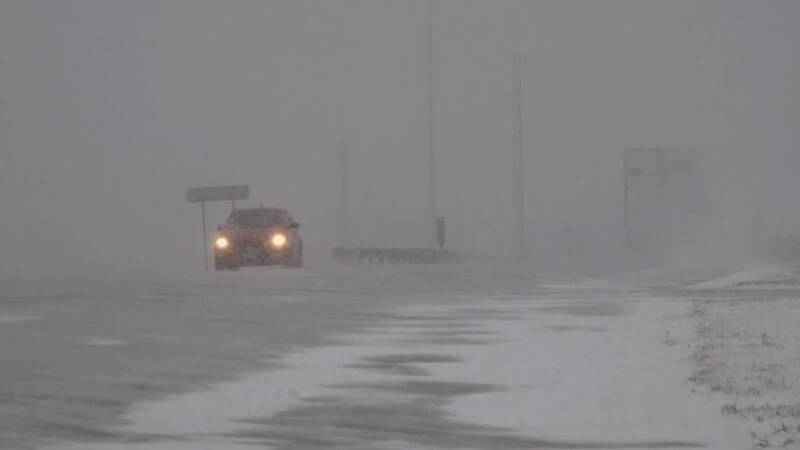 The weather service warned blizzard conditions will bring reduced visibility for motorists in the Dakotas and Minnesota. "Conditions will gradually improve from north to south throughout the day. Be prepared for hazardous travel due to the reduced visibility and snow/ice covered roads, in addition to hazardous wind chills." Another front is expected to bring "significant snowfall" to parts of Arizona, Colorado and New Mexico, where some areas could get more than 10 inches of accumulation. The expected high in Las Vegas will be 44.